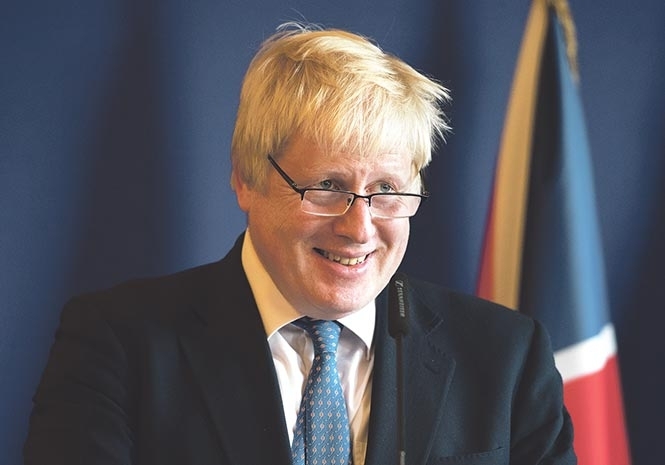 BORIS BLUFFED: The UK Foreign Secretary was tricked by an impersonator. Heard about the hoax call that duped Foreign Secretary Boris Johnson into talking to a man he thought was the Armenian prime minister for 18 minutes? During the phone conversation Boris was asked about the Salisbury poisoning and how to deal with President Putin. He’s just the latest victim of two Russian pranksters who previously called Sir Elton John in the guise of Mr Putin, and who also convinced President Erdogan of Turkey he was speaking to his Ukrainian counterpart. Well, this won’t be the first – or the last – prank call. There was, reportedly, an incident over 20 years ago when a radio presenter from Quebec managed to get through to the Queen claiming to be the Canadian Prime Minister, Jean Chrétien. Her Majesty thus appeared live on a radio programme, demonstrating an excellent grasp of Quebec politics, in fluent French! Clearly this isn’t – for once – a lapse by Boris, but rather a security breach by his aides in not adequately vetting calls put through to him. I’d suggest he uses the same automated systems that most of the companies in the UK use and then these pranksters would never get through or simply hang up in the process! 1. If you want to discuss the latest faux pas of Mr Johnson, please press 1. 2. If you want to discuss our world-class, leading-edge strategy: ‘Taking Back Control,’ please press 2. 3. If you want our Three Brexiteers to appear at your next stag do, please press 3. 4. If you want to discuss the UK’s foreign relations, you are held in a queue of 250,000. 5. If you want to discuss or offer a free trade deal (however unilateral), forward the contract clearly marked where to sign. 6. If you want to discuss Mr Johnson’s next attempt at getting fired or staging a coup, please call 007. ‘Buffoon Boris’ is a featherweight, a blundering featherweight, in a heavyweight contest. Get him out of the ring before he does any more damage. Please!